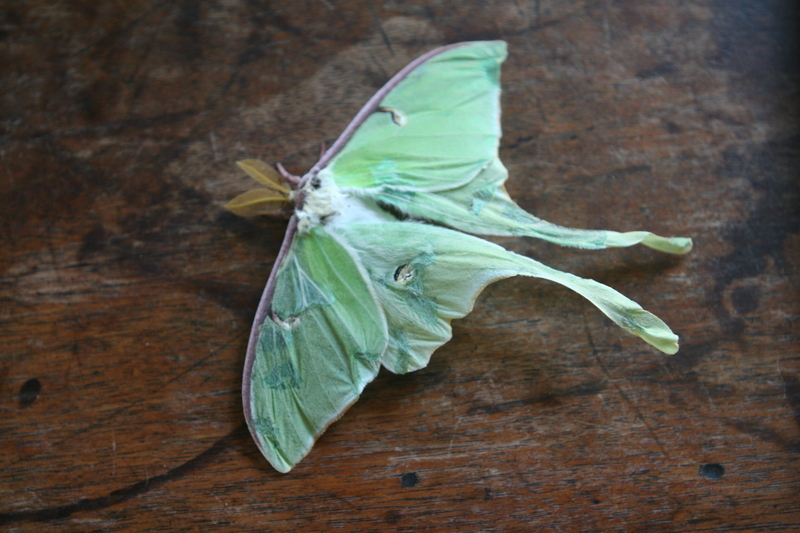 Actias luna, Water Run Farm, 2011; Phalena plumata caudate, Petiver 1700; Actias luna, Linnaeus, 1758; first North American saturniid reported in Tuskes et al. 1996. Family name Saturniidae refers to concentric rings reminiscent of the planet Saturn.